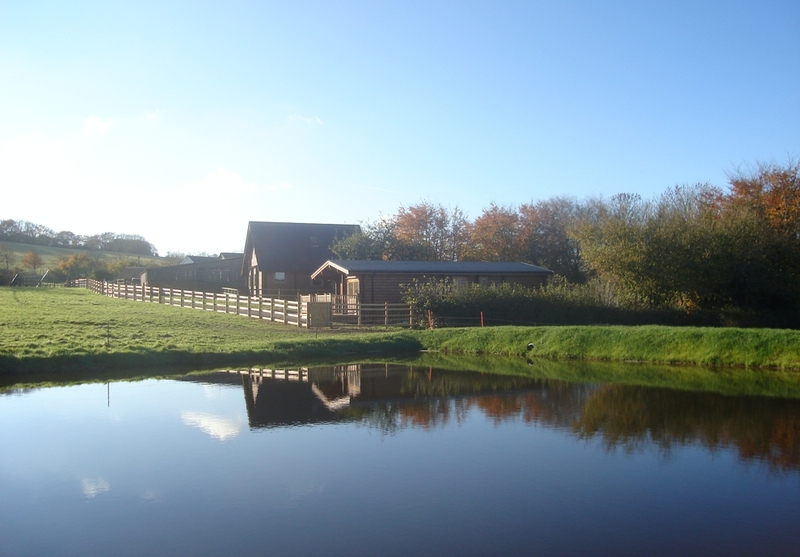 Our 2 traditional barn conversions & 2 Scandinavian lodges are situated in 17 acres of quiet, unspoilt countryside and picturesque lake where our visitors are free to roam and enjoy a gentler pace of life. 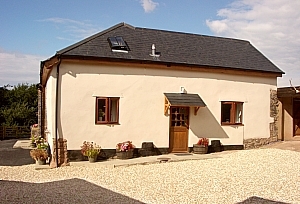 There is a feeling of seclusion, yet the cottages are central for all kinds of activities in Devon and Somerset. 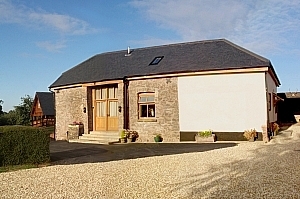 The Cider Barn and Shippen have been sympathetically converted from a 17th century barn into two independent, well equipped cottages furnished to a very high standard throughout, equipped with TV and DVDs, electric cooker, fridge and dishwasher and full oil-fired central heating, with ample off-road parking. 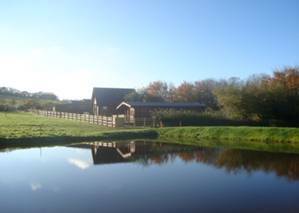 Each Barn has two separate bedrooms (one twin and one double). Fresh linen and towels are provided. 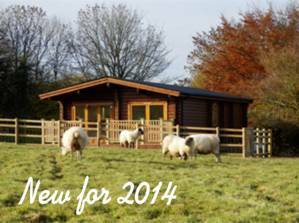 Lakeside is the newest of our wooden lodges, completed in time for Spring 2014. Situated beside our recently created lake, it sleeps up to 5 adults in three bedrooms, two with five-foot doubles and one with a three-foot single bed. A child's bed/cot may also be put in the single bedroom. Lakeside has a luxury fitted kitchen including an induction hob and fan oven, fridge-freezer, dishwasher and washing machine. You can eat on the veranda while watching birds swoop over the lake for insects. It has full oil-fired central heating and of course it has free Wi-Fi broadband throughout the property. Orchard Lodge sits secluded in its own orchard, where you can dine on the veranda whilst enjoying the sunset. It has 4 bedrooms (2 double and 2 single) and can accommodate up to 6 people. It has a ground floor WC and shower room, and an upstairs bathroom and WC. 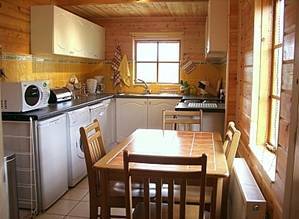 It is furnished to an extremely high standard and has oil-fired central heating. The fitted kitchen includes a dishwasher and washing machine. There is a separate Games room where Table Tennis and Darts can be enjoyed. Because of the idyllic rural situation, there are country views from most windows, from which you can spot birds and other wildlife. Situated above the cottages is “Chimney Down”, a beautiful open stretch of common land, ideal for dog walking, with spectacular panoramic views across Exmoor to the north and Dartmoor to the west. Within a mile is the Staple Cross Inn, a 17th-Century pub serving excellent food. 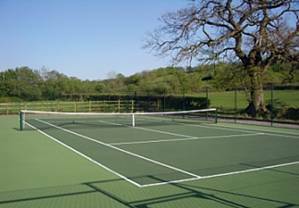 Locally, there are many attractions including National Trust properties such as Knightshayes Court and Killerton House, and fishing and sailing can be enjoyed on Wimbleball Reservoir. A trip on the West Somerset Railway, the country’s longest steam preservation railway line is only 12 miles away. 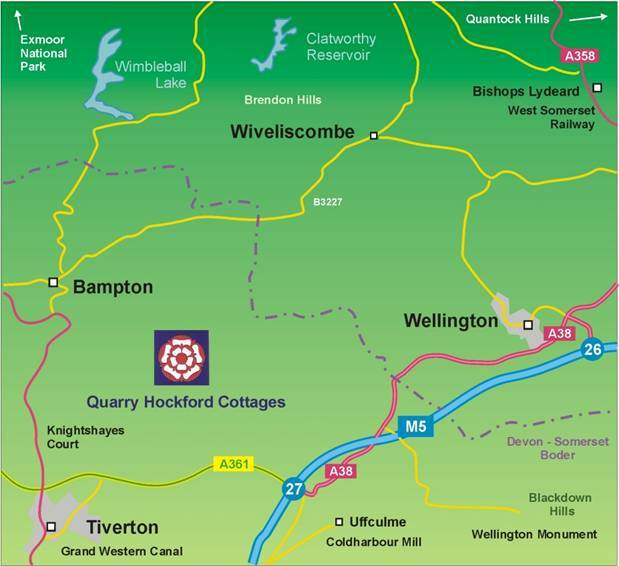 The cottages are secluded yet conveniently located about 5 miles north of Junction 27 of the M5 close to the Devon/Somerset border, making this a superb central location to explore the beauty of the South West. Exmoor is less than 10 miles away, and Dartmoor and the beautiful South Devon & Dorset coasts containing the picturesque harbour of Lyme Regis can all be reached in under an hour. 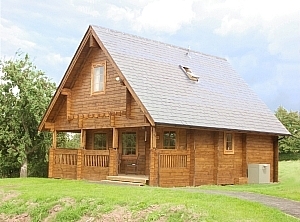 The cottages are also convenient for major family attractions such as Diggerland and Crealy Adventure Park. We have teamed up with local wedding and event venue Huntsham Court (1.5 miles) and will be pleased to accommodate visitors attending functions there for short stays. The tariff ranges from £300 - £600 per week according to the season. This includes all heating and linen. There are no extra charges. Mini Breaks can be arranged.